TSN: The Washington Capitals are receiving phone calls about the availability of Andre Burakovsky. It appears the Caps are willing to trade Burakovsky for the right price. Pierre LeBrun reports that the Vancouver Canucks, Arizona Coyotes, Colorado Avalanche and Dallas Stars are among the teams interested in Burakovsky. LeBrun states the Capitals are seeking a veteran top-nine forward in return to boost their chances of repeating as Stanley Cup champions. He carries a $3 million cap hit in the final season of the two-year deal he signed with the Capitals in 2017 and is scheduled to be arbitration-eligible as a restricted free agent this July. 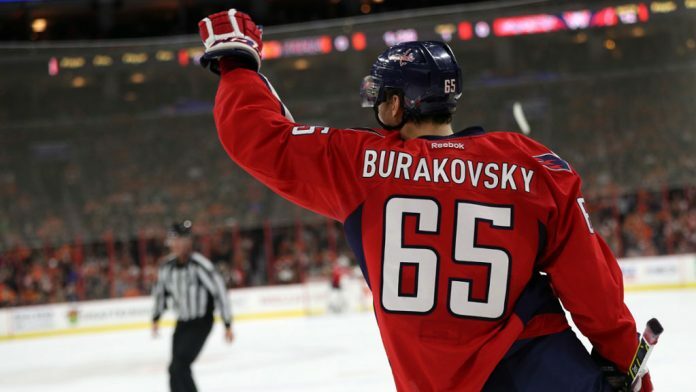 Burakovsky has posted 55 goals and 131 points in 294 games since making his debut with the Capitals during the 2014-15 season. TSN: Pierre LeBrun is reporting that the Pittsburgh Penguins are interested in Carolina Hurricanes forward Micheal Ferland. The Pittsburgh Penguins will have to shed salary if they are to pursue Ferland. The Carolina Hurricanes are looking for a 1st round pick in return for Ferland. The Penguins would like to move Derick Brassard, which would allow the Penguins to afford Ferland. The Penguins are not the only team interested in Ferland. The Toronto Maple Leafs also have interest along with the Calgary Flames.